The UTC Symphony Orchestra will present its annual Concerto Concert in the C.C. Bond Humanities Theatre at Chattanooga State Community College on Sunday, Feb. 10, at 3 p.m. This free concert will include the “Hungarian March” from The Damnation of Faust by Hector Berlioz. Concertos will be presented by winners of the campus concerto competition and will include movements from the following: Concerto for Two Pianos in Eb K. 365 by W.A. Mozart, performed by Autumn Skiles and Lindsay Betts; Concerto for Two Flutes in G by D. Cimarosa, performed by Kaitlin Barfield and Mikaela Parker; Concerto for Tuba by R. Vaughan Williams, performed by Joseph Freeman and “Piangero la sorte mia” from Julius Caesar by G.F. Handel, performed by Julia Nydam. 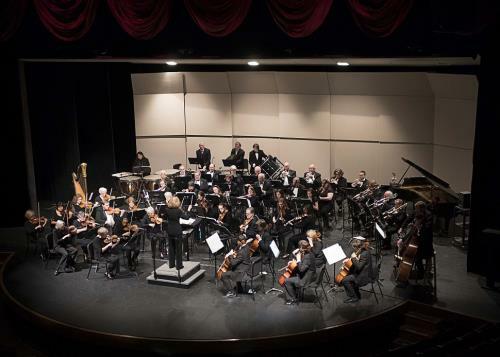 This 65-member college/community orchestra includes university music majors and non-majors from UTC and Chattanooga State, UTC music faculty members, area music educators, and other amateur and professional musicians from the region. The orchestra is conducted by Sandy Morris. The CSAS HS Symphonic Strings, directed by Gary Wilkes, will open the concert with works by Michael Daugherty and Benjamin Britten.